Last year more than ONE-THIRD of Montana’s entire wolf population was killed — and with a number of new and deadly hunting and trapping provisions, the death toll is expected to rise this season. Anti-wolf forces are determined to drive the wolf population down to the bare minimum, and Montana is adopting more extreme wolf management tactics – making it cheaper and easier to kill wolves. We need YOU to help us stop this relentless killing before it’s too late. Montana’s hunting season began in earnest on September 15th. Last year hunters and trappers killed off more than one-third of the state’s entire wolf population. 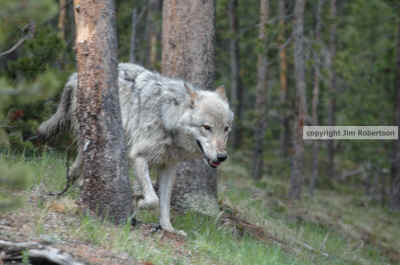 With a host of new and deadly hunting and trapping provisions, Montana is set to become a wolf tragedy in the making. We can’t let that happen. Anti-wolf forces are determined to drive wolf populations down to the bare minimum. Earlier this year, they introduced a shameful batch of anti-wolf measures in the Montana legislature. As of now, hunters can now walk right up to the Yellowstone National Park border and shoot any wolf that crosses the invisible park boundary – even if it’s just for a minute. Montana is adopting more extreme wolf management tactics, making it cheaper and easier to kill wolves. With your help we’re fighting for the wolves. And we’re working with ranchers, private landowners and others to pioneer non-lethal strategies so that wolves and livestock can peacefully coexist. The war to save wolves now spans the country…from the Northern Rockies, where the killing has claimed nearly 1,200 wolves since 2011…to the Southwest, where the Mexican gray wolf is struggling to survive…to Washington, D.C., where anti-wolf forces are driving a misguided delisting proposal through the federal bureaucracy.